Being a cast member at the Disneyland Resort is a special experience with a long and rich history of traditions and exclusive opportunities that are unlike anything else. 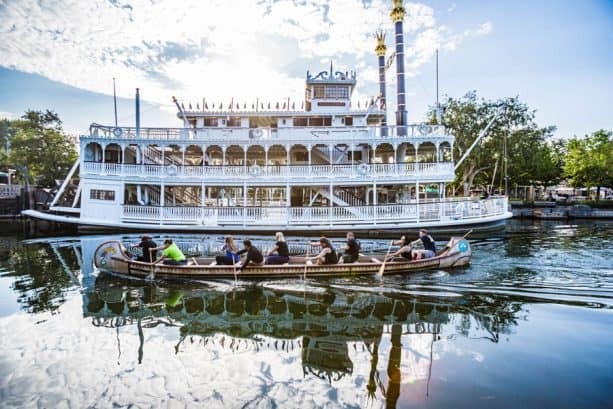 However, ask any cast member who’s worked here for several decades what the must-do cast-exclusive event is, and nearly all will tell you without hesitation, it’s the Canoe Races. Back after a two-year hiatus to accommodate work on the Rivers of America, the Canoe Races remain a popular part of the cast member experience for veteran and new cast alike, with nearly 70 teams from around the Walt Disney Company rising early for the pre-park opening dash around the river. 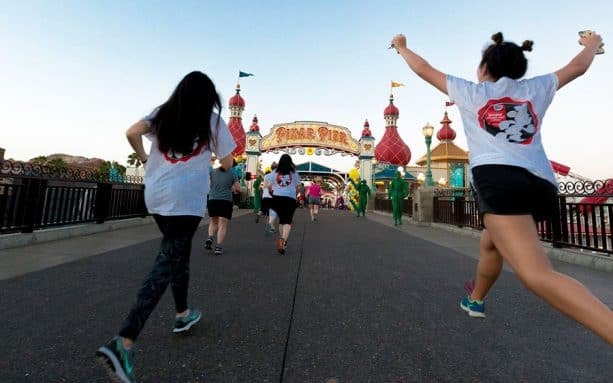 While Canoe Races represent the long legacy of cast traditions, newer cast-exclusive opportunities that promote wellness and healthy living have also become popular annual events, including Sunrise Yoga at Sleeping Beauty Castle and the Cast Member, Friends and Family 5K, which took place Saturday, July 14. 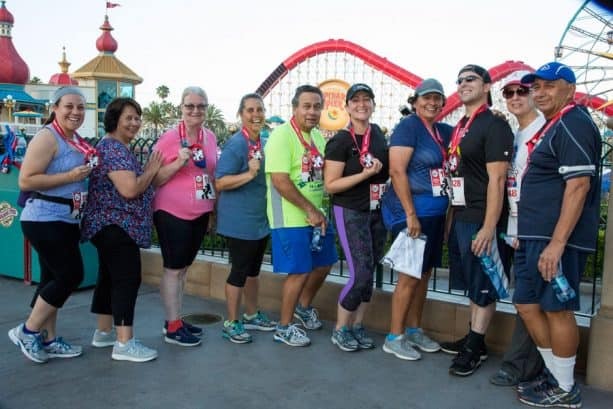 Tim Sullivan is the Fitness Program Manager in charge of coordinating the early morning run through the parks, and says these events serve as a kind of family reunion for cast members. 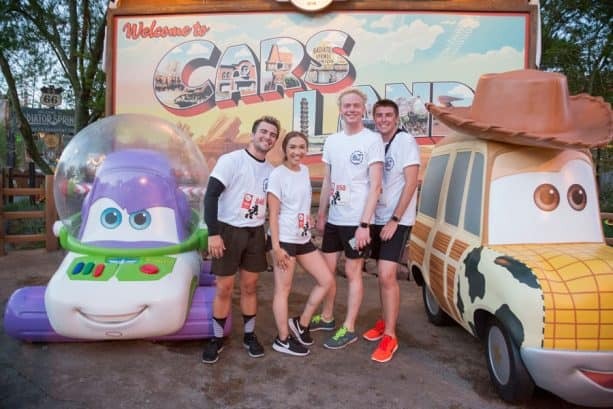 Cast members pride themselves on creating happiness – for the guests and for each other – and having opportunities to enjoy the Disneyland Resort in unique and exclusive ways is one longstanding tradition that will always be a special part of being a cast member. So great to hear the Canoe races are back. I remember when my son worked Canoes, and was positioned over in the Indian Village to watch the canoes as they came by, the reverse direction of the way we guests go. And Minnie’s Moonlight Madness. First time he entered he and his team mates came in first place. He let me keep his trophy. But I did get to join in the fun a couple of years later. My specialty – Disney Movies and Music. Thank goodness I new sports as well….. 😉 We came in 4th. If it weren’t for an Abacus, we might have come in 1st. My nephew who is a recently new CM had a chance to be on a team and really enjoyed it. I told how years ago (late 1970’s) when I was a CM I use to watch the races (I was never on a team). So great to see these very important CM activities keep going on! It was a great highlight for me when I came aboard as a new Cast Member at Walt Disney World. I joined a team of people who had never met each other, but we were more than surpassed any other crew for enthusiasm!. When the race began we were moving at incredible speed, way ahead of the other team. “Stroke! Stroke! Stroke!” Until we hit Big Thunder Mountain. We beached it so hard our canoe went up half way up the shore. We had to get out to get the canoe back in. We set the all time record that day for worst time. Still, it was all good fun. To other Cast Members, make sure you designate someone to do the steering! 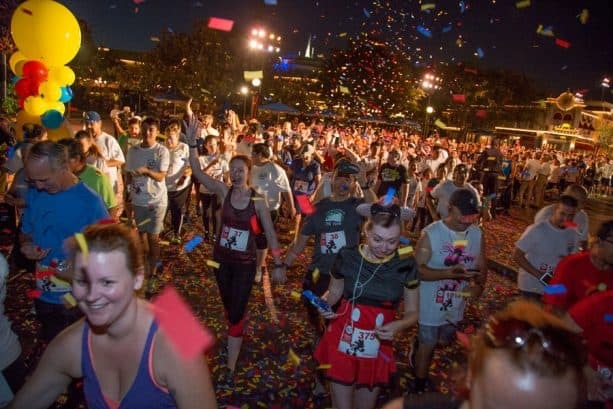 Canoe races were fantastic in my day, but Minnie’s Moonlit Madness was the most fun I’ve had at a cast event.